The Reservoir Dogs like to run, but we also value community. We work to build that community in our workouts and also by having a little fun after our group runs, races (#cheersquadgoals) and at events in non-running clothes. Check out some of our regular offerings below. Our monthly social gathering is held on the last Thursday of the month at bars throughout Manhattan. LT allows members to mingle in non-running clothes, enjoy drink specials and/or unleash their competitive nature in a game of pool or darts. We celebrate the heat of the summer during the summer soiree, usually held in mid-August. Recent events include Central Park Field Day and in 2017, TRD’s Tropical Getaway downtown. The social event of the season! Old and new members join together in their most festive holiday attire as we toast the achievements of the past year. The Golden Shoe Awards acknowledge members who have made major strides in their running goals as well as contributed their time and energy to the team. After training for your next race with Monday Night Run, exercise your social and gaming skills at our post-run locations with the Monday Night Olympics. Spanning several weeks over the winter, score points with games like flip cup, the milkshake chug challenge, trivia and more. Go for the gold and collect points to be the Olympics champ!! Need a pick-me-up at the end of a Club Points race? Our Cheer Squad has you covered with cow bells, extra-loud cheering and the promise of a post-race event to celebrate with other Res Dogs over brunch or a nice cold beverage. 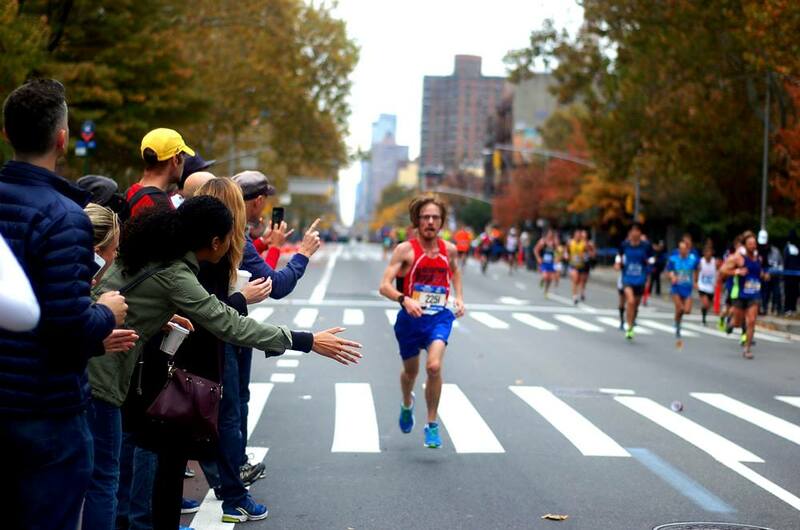 We pull out all the stops for one of the greatest weekends in New York with a pre-marathon team pasta dinner, cheer station at mile 19 on 1st Avenue and a post-marathon party to toast club members’ finishes and a great hometown race. Your social co-chairs and team leaders are always hard at work, organizing both official and unofficial events for the team. Comments and suggestions for future events are welcomed. Find Kat at an upcoming run and share your ideas!